Lucky Mountain Ranch is a 2,500 acre slice of heaven in the heart of the Texas Hill Country. 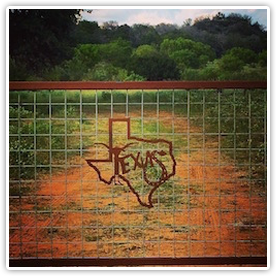 Located between Llano and Marble Falls, the ranch is bordered by mountains to the west, 4 miles of spring-fed shallow creek frontage, and wonderful neighbors all around us. Within the ranch’s perimeter it is not uncommon to have to honk to get white-tailed deer or turkey out of the road, and free-ranging aoudad regularly come down off the mountains to share windmill water with their newest friends --- the longhorns. Lucky Mountain Ranch is our family’s favorite place to escape the distractions of fast-paced city life and cellphones. Holly and I have always loved animals, and our LM longhorns join our long list of family pets. Rest assured, if Holly spots a stray dog or cat on the side of the road, there’s a good chance it’s moving to the ranch! Our favorite Longhorn ‘heifer’ will be attending The University of Texas, and once our last young ‘bull’ heads off to college you’ll be able to find us at LM Ranch most every day. Holly and I enjoy sharing our ranch and its beauty with family and friends. We look forward to getting to know our extended longhorn family and sharing it with you too.